July 09, 2013 in "TFA Tuesday"
Finding adorable baby girl patterns is not hard. There are so many out there, each cuter than the next. Finding one that is special, original and one of a kind? That's a bit trickier. The Nola Jane pattern is just that. 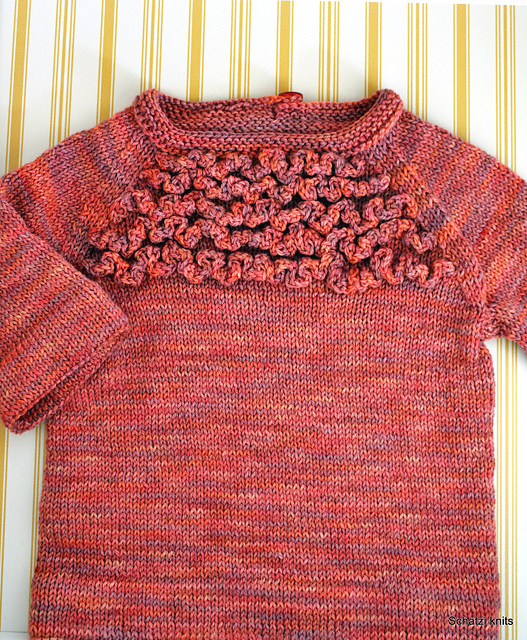 KNITelescu's version was the one that introduced me to this pattern, and I think that it's just so neat. 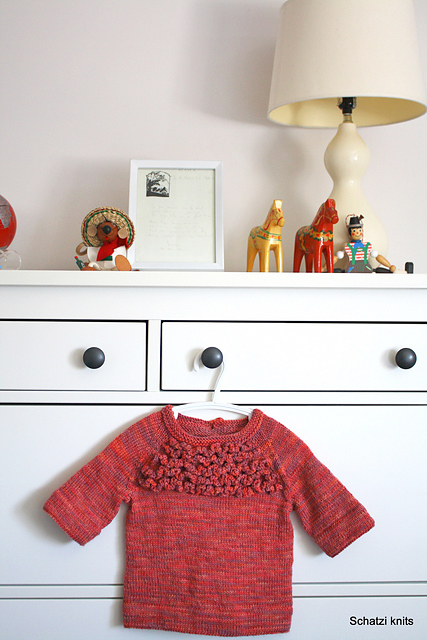 A simple pullover but with all that extra detail at the yoke. Not lace, not cables, but awesome ruffly texture. I love it! The next time I need a gift for a baby girl, I think I'm going to give this pattern a try.